We welcome you to Mystic Place--the top choice for apartment living where comfort and convenience meet. Ideally located in beautiful Medford, Massachusetts just 15 minutes North of Downtown Boston, enjoy endless views of the Mystic River Reservation and the spectacular Boston skyline. 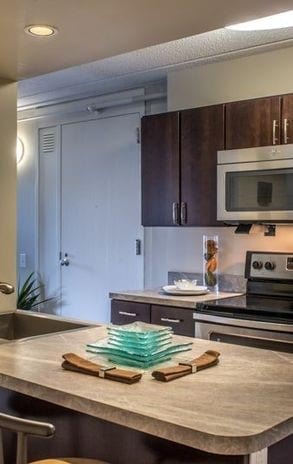 Feel right at home in our newly renovated one and two bedroom floor plans designed specifically with you in mind with unique finishes like recessed lighting, wood flooring, expansive layouts and stellar views. 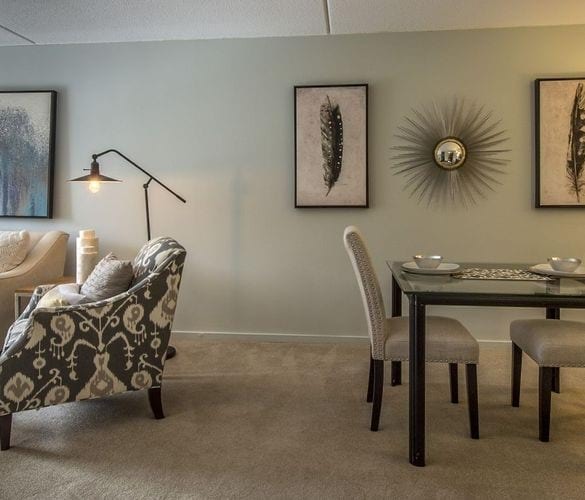 Our custom accent wall program gives our residents the opportunity to truly feel at home. 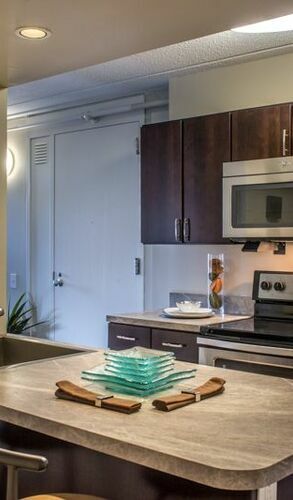 At 620 and 935 square feet, our incredibly spacious layouts highlight the open-concept design from kitchen to bedroom. Premium kitchen packages feature stainless steel Energy Star appliances, generous pantry space, and expansive breakfast bars ideal for entertaining. There is no need to worry about storage, every home features linen closets for your living convenience. Just what everyone wants, Mystic Place proudly includes ALL utilities in the price of rent so there is no hassle! From stunning views to a refreshing breath of air, enjoy both on your very own balcony or patio. Top notch air conditioning, window coverings, and 24-hour emergency maintenance make your home move-in ready! With something for everyone to enjoy, visit our multiple sport courts and tot lot or sit back and relax inside one of our comfy clubrooms where you can watch your favorite film on the big screen in the media center. If you’re looking to break a sweat, visit our premium fitness center with a wide variety of cardio and strength equipment to explore. Covering all the bases, Mystic Place also offers bicycle storage, garage parking, package acceptance, a recycling program, multiple laundry centers, and a business & computer learning center. Take a moment to learn about our convenient amenities! Ideal for city travel, located just one mile from Wellington Station and easy access to I-93 means every destination is only minutes away. Grab a bite to eat with shopping bags in hand at nearby Station Landing, Assembly Row, and Wellington Circle Plaza! You’ll be surrounded by world-class shopping, dining, and plenty of entertainment. Students and faculty members will appreciate the proximity to Tufts University also one mile away. Enjoy some weekend fun and drive a mere two miles to LEGOLAND® Discovery Center Boston. Providing everything you need and more, come tour your future home today!